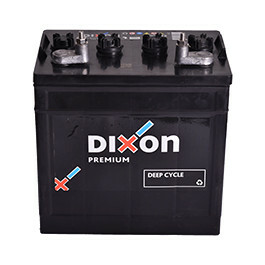 This 8V Golf Car - Deep Cycle Battery is a low maintenance lead acid battery, for all classes of 8 Volt golf carts. It has a standard wing nut Positive and Negative terminals. Polypropylene containers, Base hold down class B0.